Although there is no official confirmation from the actor himself, Tamil film circles are abuzz with this news and reports also reveal that Arvind Swami has already begun the preparation for the big announcement. It’s not a new thing in films that actors turn to direction or production. From Kamal Haasan to Amitabh Bachchan, we have seen many top stars don the hat of either director or producer many a times. And the latest to join the bandwagon is Tamil actor Arvind Swami who revealed recently that he may turn to direction soon. According to a report in TOI, Arvind Swami will soon reveal the details about his first film as a director which will kick star this year. Although there is no official confirmation from the actor himself, Tamil film circles are abuzz with this news and reports also reveal that Arvind Swami has already begun the preparation for the big announcement. It is not clear yet of Arvind Swami will also act in his directorial venture besides directing it. 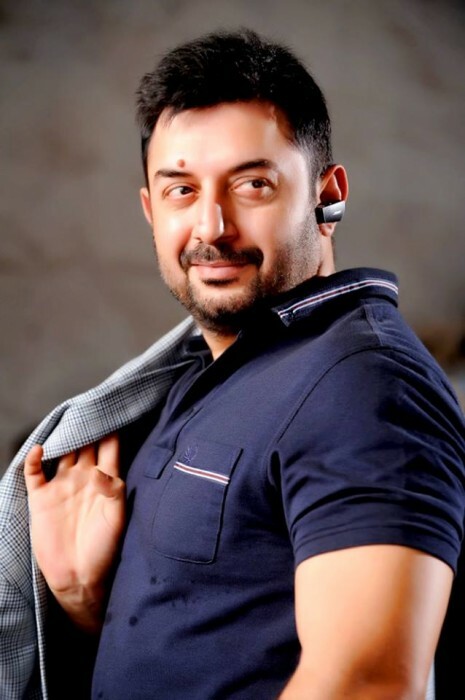 Arvind Swami is one of the most successful actors in South Indian cinema with many hits under his belt. Having worked with the liked of Mani Ratnam and Rajiv menon, Arvind Swami has proved many a times that he is a performer too. However, he did take a break from acting for a brief period in 2000s before making a comeback with 2015 Thani Oruvan starring Jayam Ravi. The film was later remade into Telugu with Ram Charan in the lead role and Arvind Swami reprised his role. Arvind Swami was last seen in Bhaskar Oru Rascal which was a remake of the Malayalam film Bhaskar The Rascal. The remake too was directed by Siddique but the film failed to impress the audiences and turned out to be a dud at the BO. The release of Bhaskar Oru Rascal was delayed many a times due to various reasons one of them being the 48-day strike in Tamil film industry between the producers and the Digital Service Providers(DSPs).